I'm happy to report that I did find my kitchen table, which was a good thing because now I could put together a Summer tablescape! I had alot of fun with bright Summer color. I love it! For this tablescape, I did borrow a few items. Napkins & napkin rings are from Target, bought on clearance last year. I purchased the salad plates from Home Goods, also last year. Not only did I love their bright colors, but they have a glittery effect to them. I thought it would be fun to mix up the flatware. All flatware is Cambridge from Home Goods. I used yellow-handled forks too. ﻿Summer brights can make even a gloomy day cheerful! Thanks for stopping by. I really do appreciate each & every visit! Very bright and happy! Haven't done any tablescapes lately. I barely want to cook anymore! Super happy looking table! I would love to eat at your festive fun table. Gina, what a beautiful summer table! I love it all, the plates are beautiful and the silverware is just so pretty! What a fun way to enjoy a summer time meal! Bright and happy! Thanks for sharing your lovely table!!! Love all the bright colors. So happy and cheerful . Love you usrd all different colors for your napkins an silverware. Now THIS is a fun, bright Summertime table! Looks great on your new table. Congrats on finding it. Beautiful table! Lovely summer colours. Thanks for sharing. Love your tablescapes Gina! This one screams PARTY with all of the bright colors you chose! 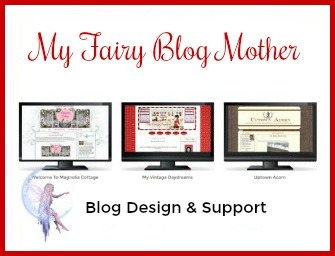 I am so glad that YOU are the very first blog I checked this morning. G this is so happy and fun. Love the little flowers around the pitcher, love the colors, love the playfulness =) Have a great day!! This is so fun! I love it when people mix and match it is so creative! I love the colors! 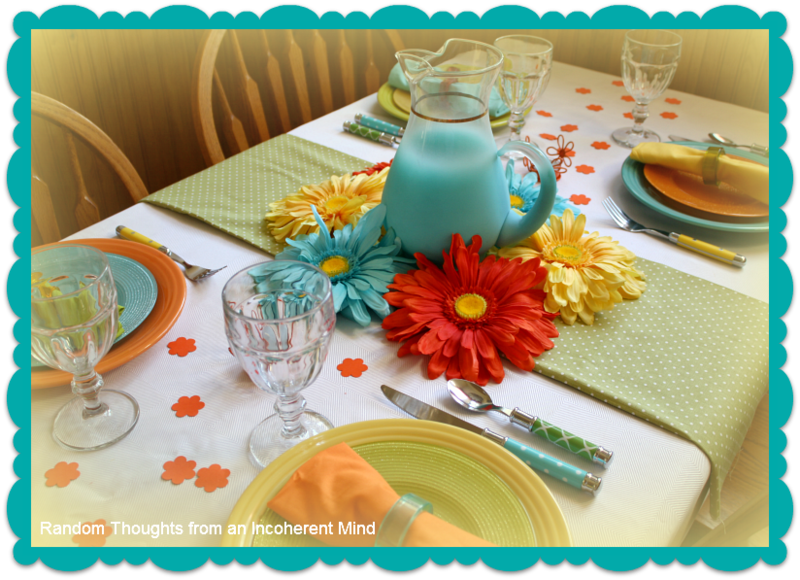 Come link up to centerpiece Wednesday on my blog! Oh my, so pretty. I love the bright summery colors. Such a pretty table setting. So festive and full of color. Glad you found the table! It looks great. Love all the colors. I like the idea of mixing the flatware. The flowers are cute too. What a fun, cheerful table, Gina!! 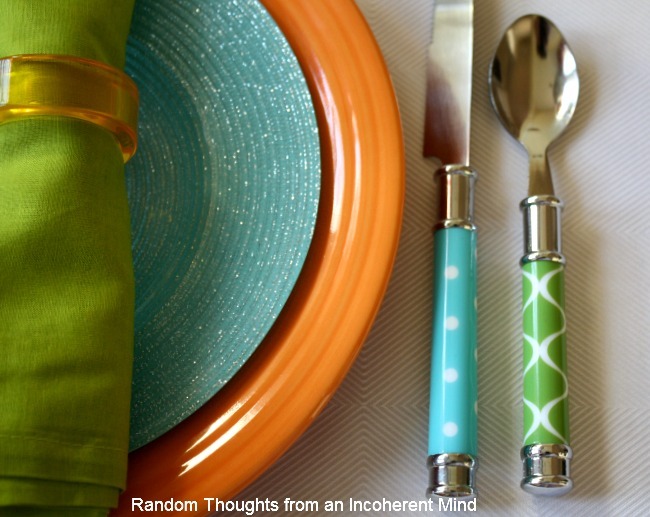 I love all the mix of colors in the dishes and the flatware. The flowers in the center just complement everything so well. It's so nice you can borrow from your Mom and sister. What a happy mix, perfect for summer!!! I really like how you mix and matched all the colors! It looks just perfect for summertime! What a bright and cheery table! Very, very cute. I love the mix of colors on the various settings. 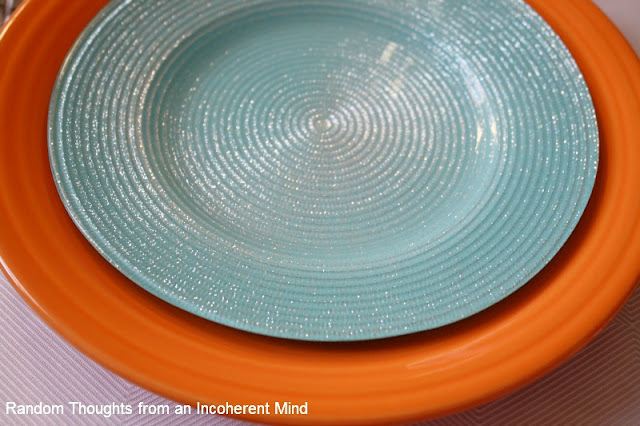 I could have used those sparkly salad plates in aqua this week, lol! 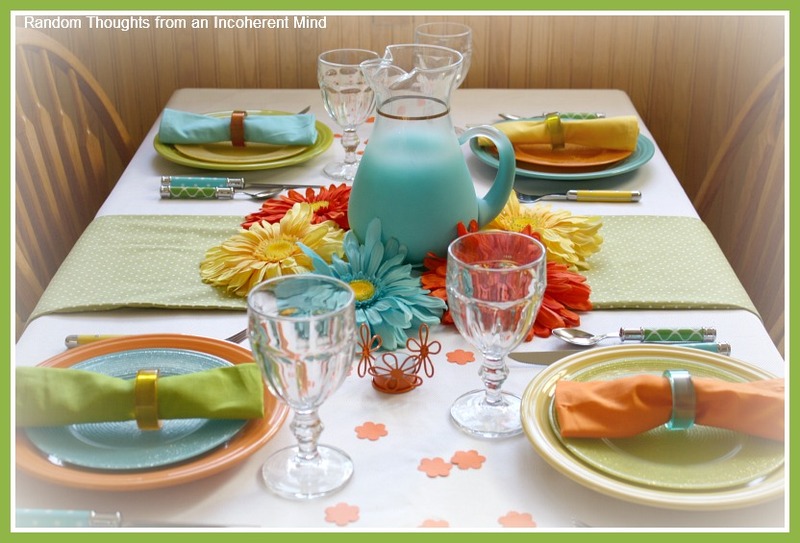 Gina I love all those bright colors, they are perfect for a summer tablescape!! Love your flatware too! LOVE the mixed up colors! VERY cheerful and fun! I'm very envious that your sister is close enough for you to borrow dishes! Your summer brights make me smile. This is such a happy table. I like the way you mixed the flatware and the dishes. I love this! That pitchrer is so pretty! Shimmery salad plates are great as is the flatware. Thanks for sharing at Let's Dish! Love the colors. My silverware is boring. I need some happy stuff like yours! I love it! Of course, I love color...looks so "happy" to me. The salad plates are really cool. What time is lunch/dinner? I think I would have a hard time giving the pitcher back to your sister! But then again it maybe all of the pretty bright compliments you placed with the pitcher that is making that pitcher look so good!! Very fun! I love it Gina...so bright, cheery and totally inviting...when can I come?? ?...haha...Love all things summer and you got it right!! I want to come eat at your house! Your table is so colorful and happy, and that aqua pitcher makes the perfect centerpiece for your table. Another great table...I know what you mean about finding it though. :o) Sometimes mine is missing for days. Of course my favorite thing, as always, is the flatware. Love the yellow. Hope you have a good weekend Gina! I am moving in with you!!! ~ better yet, come over and set my table. You do the cutest things!!!!! I love the colorful dishes.. I love everything. Gina, it's adorable! I am so glad to hear you borrowed a few things, I am always wondering how big peoples china cabinets are when they always post tablescapes LOL! That ways summer fun! this is so light and fun! how fun your dinner parties must be! i've said it before and i'll say it again...you are so creative! This is so bright and fun. I think your tablescapes are my favorite thing you do...ok that's not a fair statement. 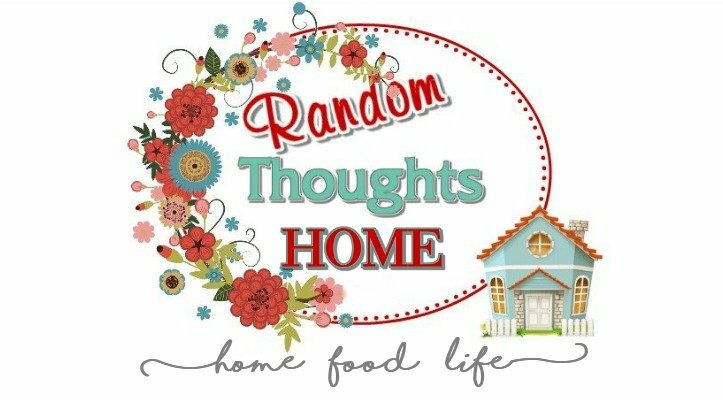 I love your mantel displays, furniture redos, and recipes too. 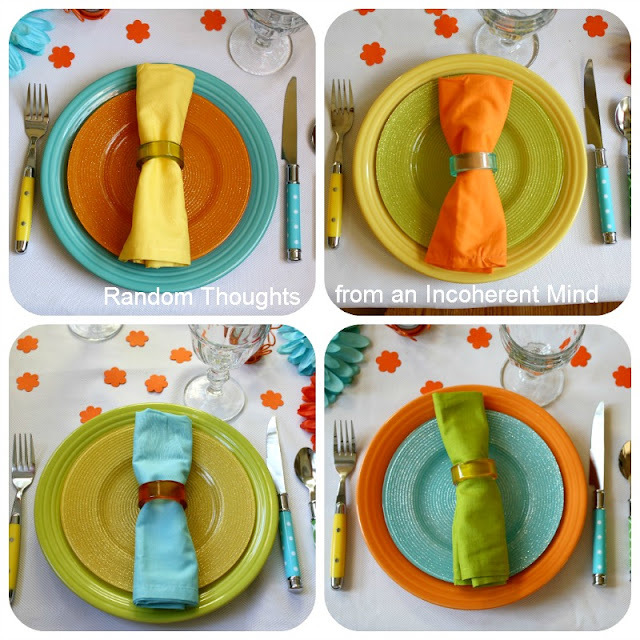 But your tablescapes are always creative and fun! I was going to ask you what the blue drink was in the pretty pitcher...Hee, Hee, hee. What a dork I am....I didn't realize the pitcher was actually aqua. 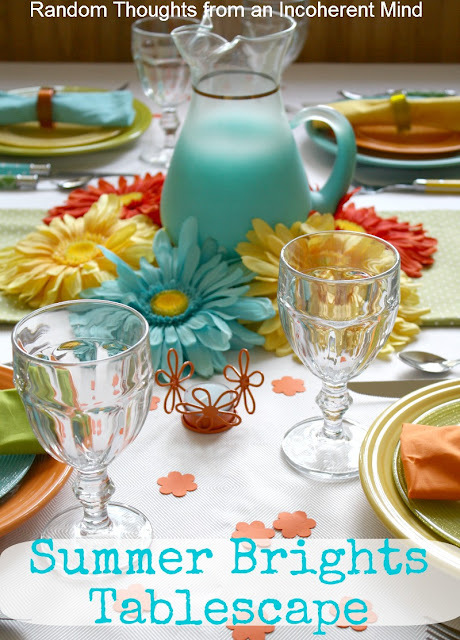 Your summer tablescape is bright, fun and beautiful. Love it. Gina, this is a beautiful table, lots of cheery colors...I remember my mother having a pitcher very similar to yours. Oh my goodness...all time favorite right here Gina. Those colors just speak to me. SOOOOO pretty! Now this tablescape says "Summertime"
to me..I used to have a pitcher and a set of glasses like it that I had rec'd as a wedding gift from some work associates 49 years ago. Wonder what happened to them? Hmm! I would have never thought of mixing fiesta colors with that pitcher. What a refreshing sight! The colorful flatware just adds to this tablescape. Thanks for sharing with us.